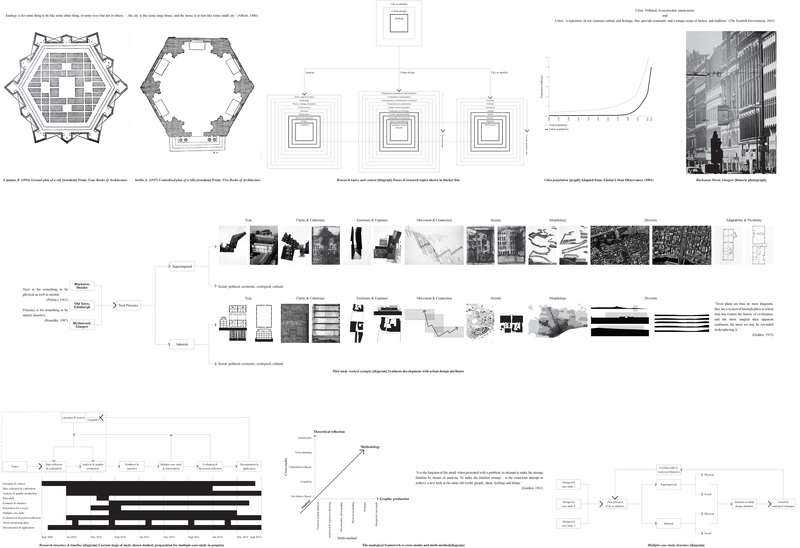 The Architecture of Analogy An exploration of analogy as an urban design methodology. Analogy is for some thing to be like some other thing, in some ways but not in others. 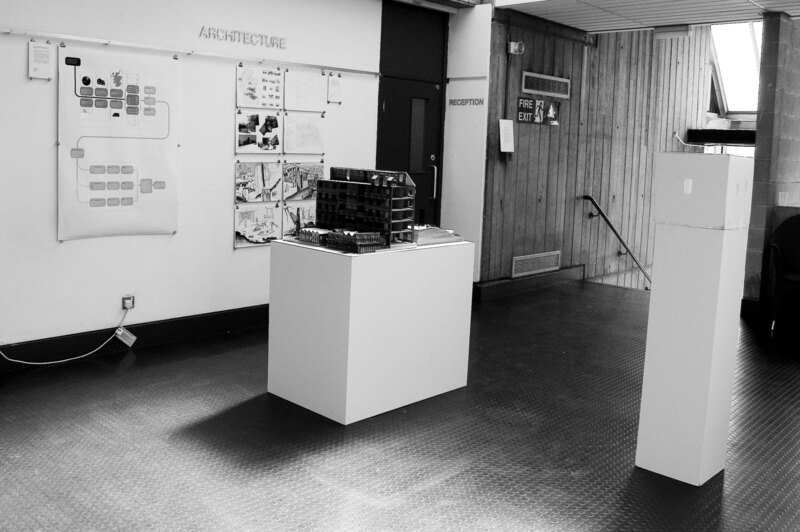 This practice-led PhD is developing the use of analogy as an urban design methodology. Analogy liberates the mind, providing a critical and creative framework to establish measurable connections between unlike things. Context & relevance: According to the Global Urban Observatory, the population of the worlds cities increased from 200 million to 2 billion between 1900 and 2000; by 2025, the number of city inhabitants is expected to reach 5 billion. Cities, the foundation of the social, political and cultural realm, will be the study area for my research, which references and extends on the research of Beigel/Christou, Koolhaas, Rossi, Rowe and others. Previous study: This Doctoral study has developed from my Undergraduate Masters thesis in which, influenced by the architect Aldo Rossi, I elaborated a methodology framed by his analogous city. As part of that paper, I explored analogy, type, form and place as themes within a design approach and tested as an urban design proposition for a site in Dundee. Further study will explore in more detail the subject of analogy and its relation to the contemporary city, rigorously assessing analogy as a critical design methodology. Experience: After graduating in May 2009, I worked on a research project for The Geddes Institute for Urban Research that focussed on the Tay Plan area of Central Scotland. 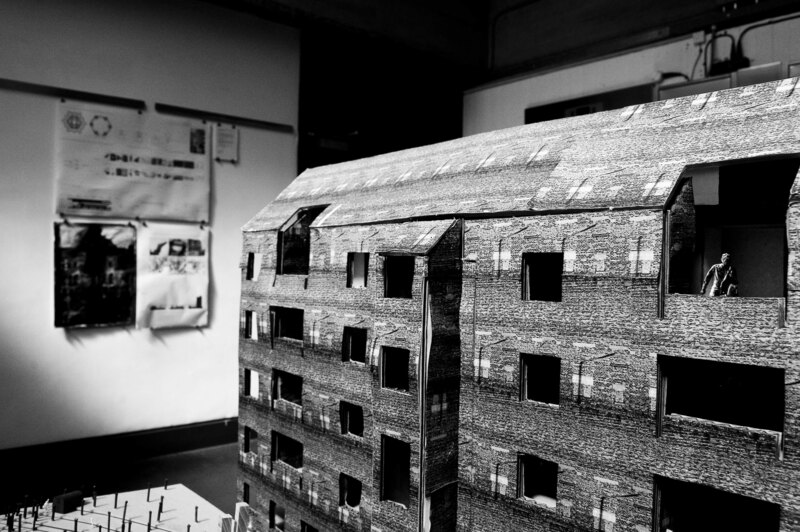 Supervised by Dr Lorens Holm at Dundee School of Architecture and in collaboration with the disciplines of geography and town planning, the team examined issues of density, urban growth and the sustainability of settlements. I recently submitted a paper and attended a conference titled Urban Design Research: Method & Application, in which I gained valuable knowledge of current urban strategies and of the need for further research into cities. In addition, I have spent time in an architectural practice assisting in design proposals for housing, schools and masterplanning. Aims & objectives: The aim of this Doctoral study is to further advance analogy as an urban design methodology. This research explores the links between the seen and the unseen relations in cities; the objective criteria (which includes; the history and development of a city; its socio-political profile; the morphology of a city) and tacit qualities (mood, memory, fantasy) that are inherent to cities. 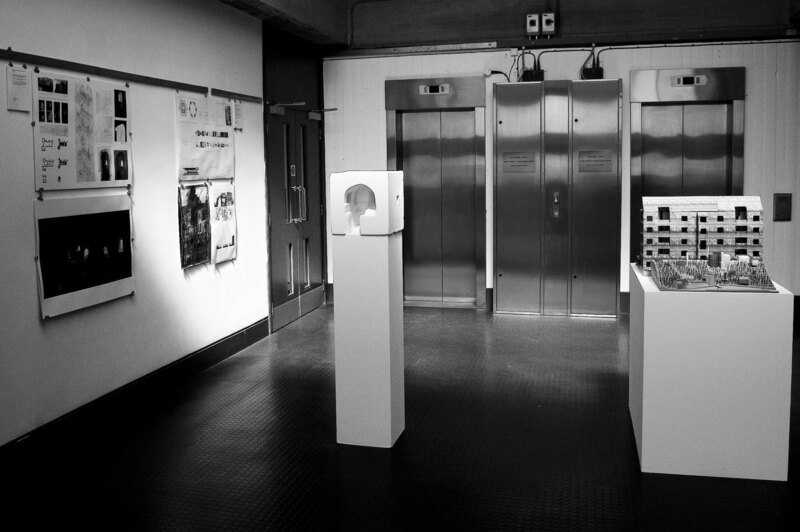 It analyses the relationship of history, place, scale and form in the analogical framework. It proposes that analogy is a valid approach to investigate problems in contemporary cities and can suggest solutions. Methodology: The critical research methodology is analogical reference and comparative analysis. This research concentrates on imagining reality by making written, drawn and physically modelled building and urban design propositions to act as a critical reflective tool in order to study the analogous qualities in cities. 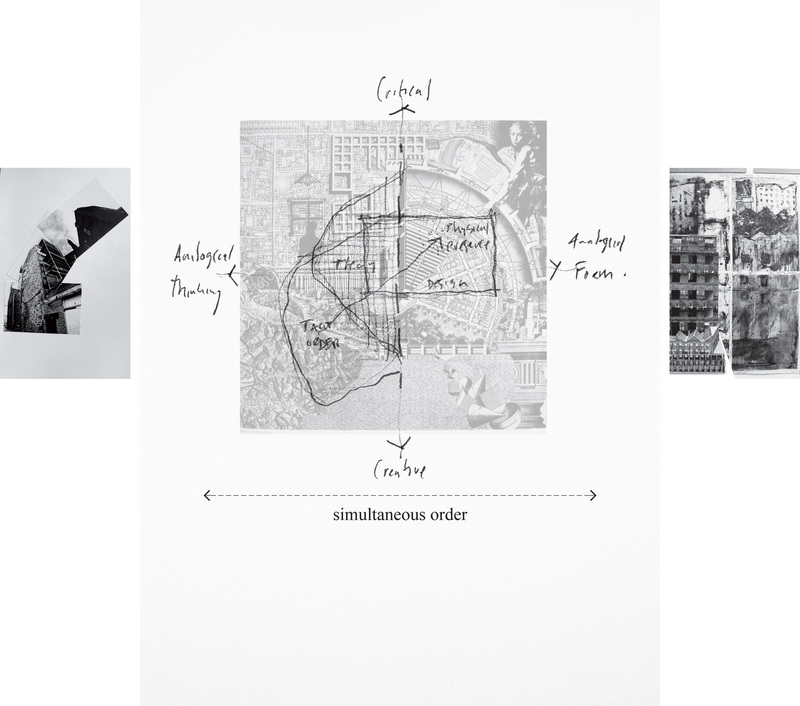 I will use the criteria; the dissolution of time (history); the displacement of origin (place); the transposition of scale; and the distortion of form, to regulate a comparative analysis that will produce new knowledge of cities. This study will explore the historic, social, physical and tacit structure of cities; and through theoretical reflection and graphic production, evaluate analogy as a critical design methodology. Application & impact: The outcome of this research will enhance knowledge about urban development for policy formulation; act as design guidance for local authorities to achieve more coherent urban design; help appraise current urban design practice; and record a catalogue of analogical forms, generating a methodology to understand contemporary cities. The dissemination of results will be relevant at community, city and national level, and will benefit planners, architects, developers, geographers and sociologists. I intend to continuously refine this design methodology beyond the Doctoral programme through teaching and engaging in architectural practice.